In August 2018, Governor Murphy signed a bill into law referred to as “Tommy’s Law” in honor of a man who was killed in New Jersey in 2016 while crossing railroad tracks. The goal of the law is to greatly decrease the number of people who die in a manner similar to this man. As a result, the law requires the New Jersey Transit to provide accident victims as well as their families with compensation after an accident. “Tommy’s Law” also requires New Jersey to provide victims and their families with support and counseling after transit accidents occur as well as provide prompt updates about accidents. If you are injured in a transit accident in New Jersey, you should not hesitate to contact an experienced accident attorney. You should also understand some of the important details about how transit accidents occur. Signed into law in 1979, the state’s Public Transportation Act created the New Jersey Transit System. This law dictates that the New Jersey Transit is responsible for managing its numerous transit systems throughout the state. Due to this law, the state is required to make sure that everyone involved with the transit system including passengers and workers remains safe. Tommy’s Law, however, increases the level of responsibility that the state of New Jersey maintains over its transit system. New Jersey Transit Buses. These accidents involve collisions between these buses and other bikes, pedestrians, or vehicles. New Jersey Transit Light Rails. Some of the most common ways in which light rail accidents occur include individuals who are harmed on train platforms that are defective in any way. New Jersey Transit Trains. Accidents that occur involving these trains can be due to the engineer, railroad, or other motor vehicle drivers. If you have been injured while traveling on New Jersey transit, it is critical to understand that you must not hesitate in filing a claim against either NJ Transit or the Port Authority of New Jersey. A notice of a claim must be submitted to the appropriate entity within 90 days from the date of an accident. If you miss this deadline, you can be forever barred from obtaining the compensation that you deserve. 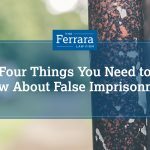 While there are some situations in which a person can file a legal action after the 90-day notice, you are often only able to do this with a court order. 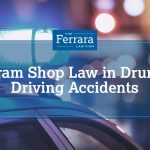 If you or a loved one was injured or killed in a New Jersey transit accident, you should not hesitate to contact a knowledgeable attorney at Ferrara Law Firm. Our lawyers understand that after an accident, you can end up facing a number of consequences including medical bills, emotional suffering, and lost wages. As a result, we will remain committed to fighting for the compensation that you deserve and the best possible resolution of your case.